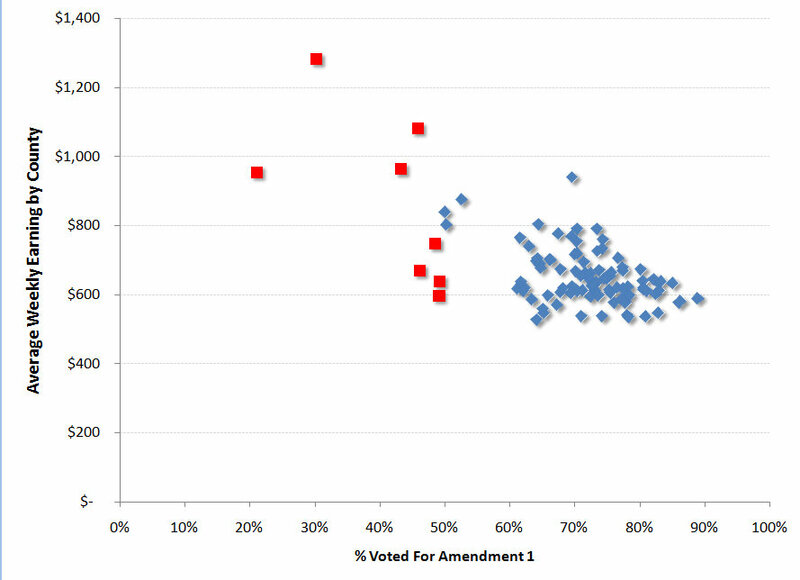 Here are some quick graphs from the voting on NC Amendment 1. The Amendment declares marriage to be between, “A man and a woman,” thereby making matrimony and civil union the exclusive domain of heterosexual couples. Red denotes the eight counties that voted against the amendment (I include Dare, however it looks like they will wind up being for). These eight counties represent; (1) the highest weekly wages, (2) the largest counties, and (3) those that have experienced the largest population growth. Graph 1 shows “% of County that Voted for Amendment” on the y-axis and “Average weekly wage” on the x-axis. The average weekly wage data came from this August 2011 BLS press release. Average weekly wage vs % of county voting for NC Amendment 1. 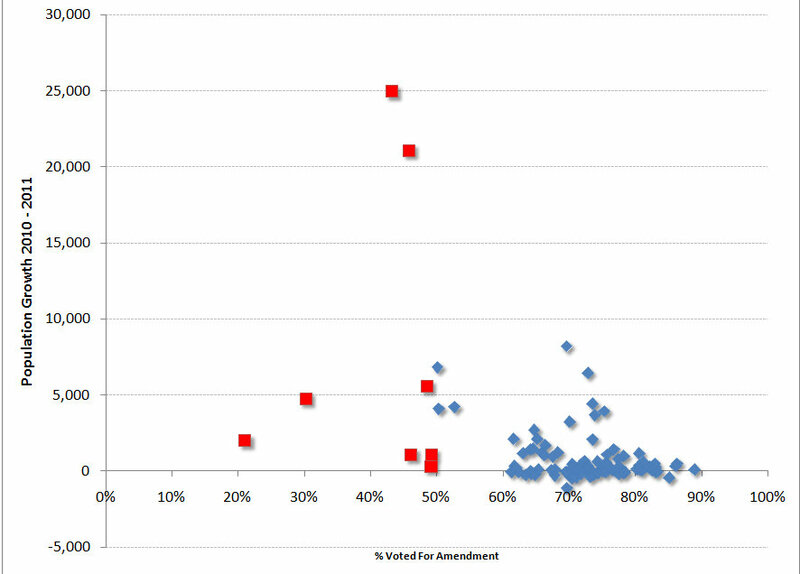 Graph 2 again starts with “% of County that Voted for Amendment” on the y-axis, but the X-axis is population from a provisional state estimate made in 2011. County population vs % of county voting for NC Amendment 1. Graph 3 is anchored again with “% of County that Voted for Amendment” on the y-axis, but the X-axis is growth in population by count from 2010 – 2011 from the same provisional state estimate made in 2011.